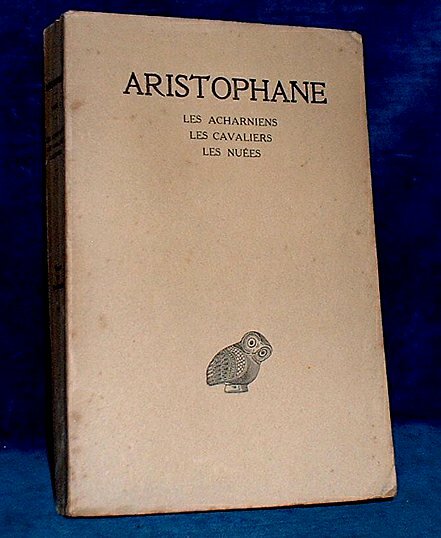 Description: Paris, Societe d'edition Les Belles Lettres 5th revised/corrected edition 1952 . Octavo paper wraps (tips rubbed/sl.corner creases but no loss) xxxii + 230pp + 230pp. Facing pages with the same number are parallel translation Greek and French. Ownership dated 1958 to half title & bookshop label to foot of half title (Parkers of Oxford). Neat and helpful pencil marginalia to first and part of last play. Neat tight copy.